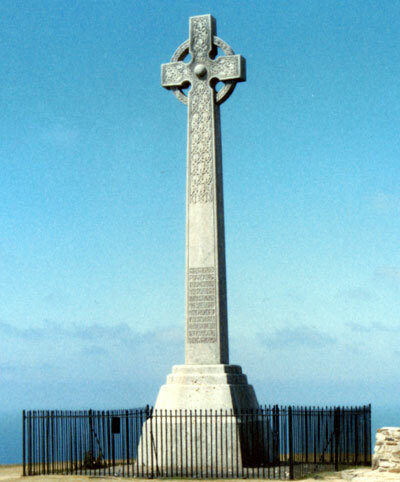 The Tennyson Cross stands on Tennyson Down as a memorial to Alfred Lord Tennyson who lived for a period in nearby Farringford House and he would walk nearly daily on the down. The cross dates from 1897 and is of Cornish granite. Its location is that of the historic Nodes Beacon. The inscription reads 'In memory of Alfred Lord Tennyson this cross is raised, a beacon to sailors, by the people of Freshwater and other friends in England and America'. or view topics by location. If an item does not appear on the list above try using the search box - information may be included on another page. © Copyright 2016-2019 wightpedia.org.uk - All rights reserved.